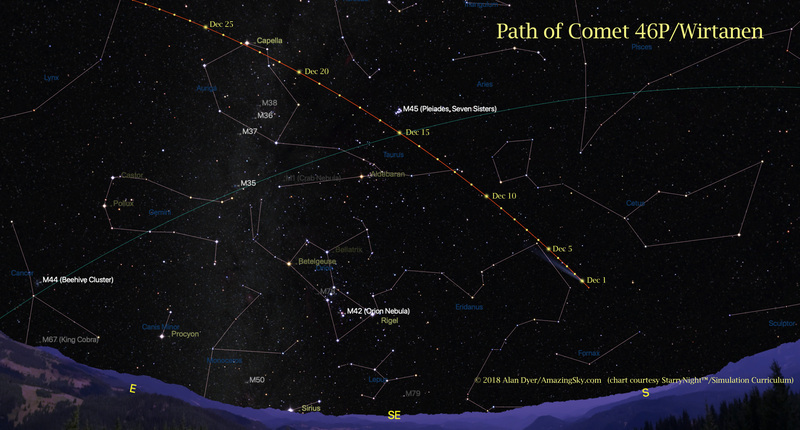 On Wednesday, January 21 look low in the southwest for a conjunction of the Moon and inner planets. 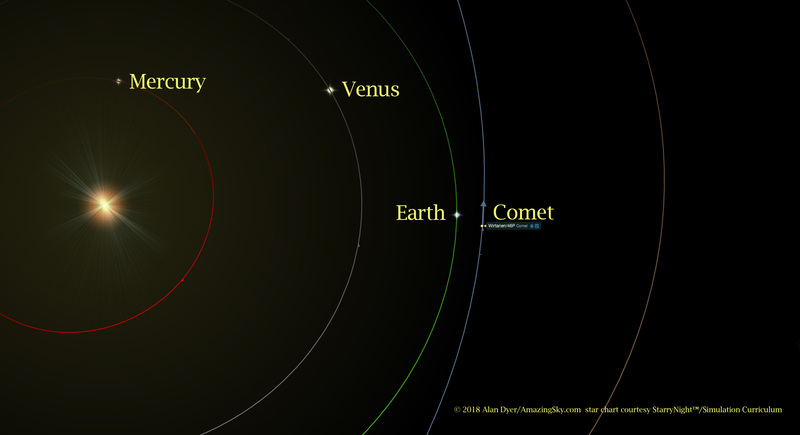 Mercury is ending its brief evening appearance and proximity to Venus. But this week you can still spot it a binocular field or so below Venus as it descends back toward the Sun. 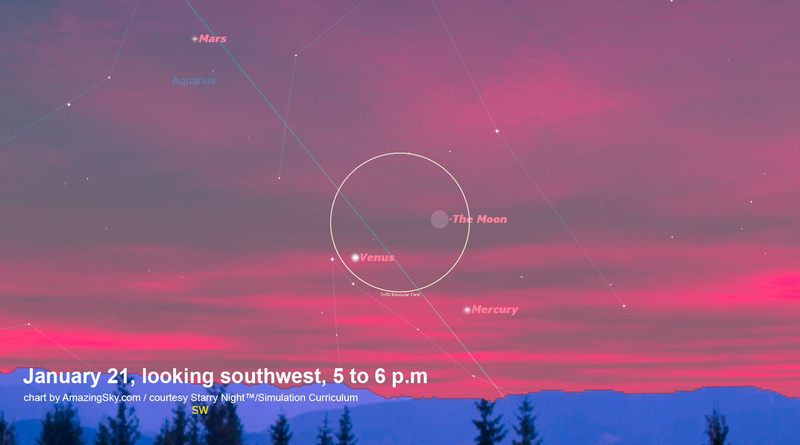 On Wednesday, January 21, look low in the southwest to sight the thin waxing crescent Moon sitting near Venus and Mercury, forming a wide triangle of inner rocky worlds. The other rocky planet in the inner solar system, Mars, shines higher up in the evening twilight as a moderate brightness reddish star. 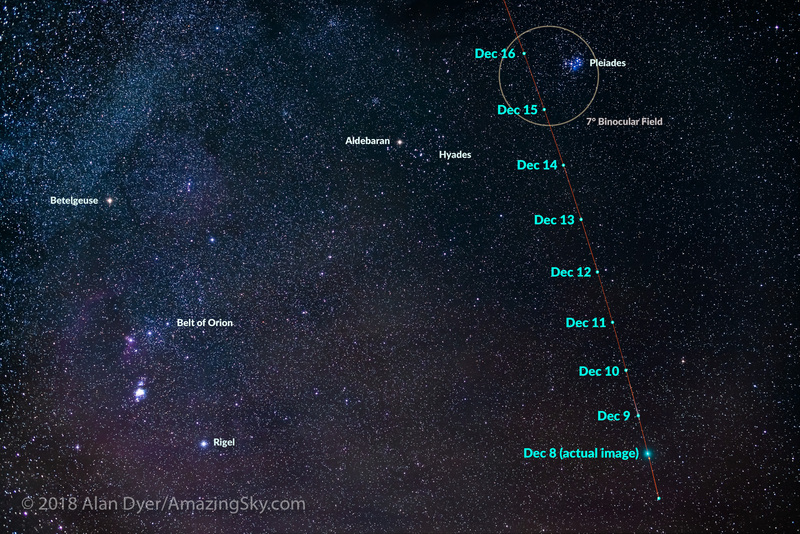 The next night, January 22, the waxing Moon will sit beside Mars in a wide conjunction. 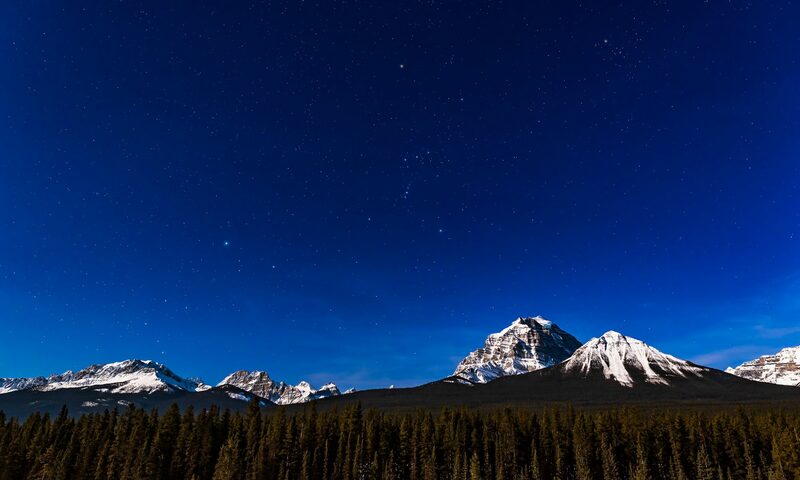 Catch the Moon-Mercury-Venus trio early, as they will set an hour or so after local sunset. 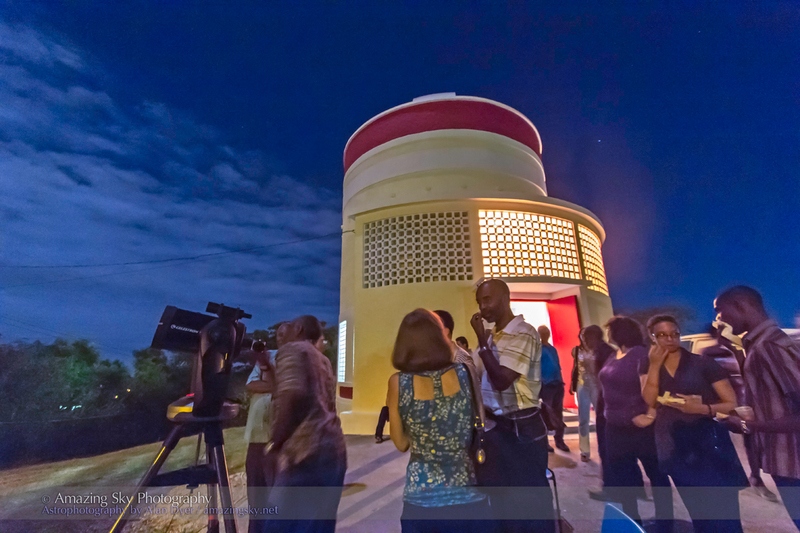 Barbados is soon to have a new state-of-the-art public observatory for promoting astronomy. 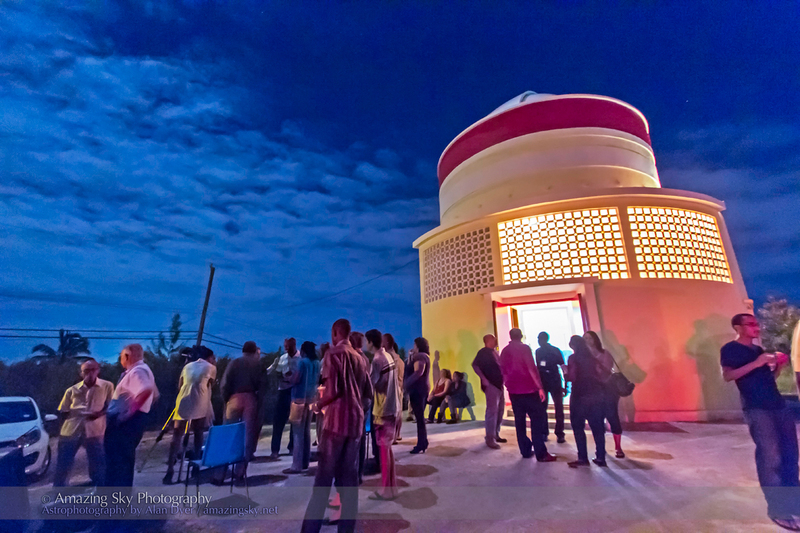 On Saturday night, November 16, I was fortunate and privileged to be the guest speaker at the first event at the newly refurbished Harry Bayley Observatory in Bridgetown, Barbados. A grant from an educational foundation in the UK has allowed the Barbados Astronomical Society to renew the aging 50-year-old facility with a fresh new interior, and all the high-tech fittings of a modern public observatory. A new dome was lifted into place on top of the 3-storey structure earlier in the week, and the painting and interior finishing was completed just a day or two before my talk, in time for a public RSVP event Saturday night. I gave a talk on The Amazing Sky, showing images and movies from the November 3 total eclipse, among many other photos of the sights anyone can see in the day and night sky. I gave the same talk twice, to two packed houses of 40 people per session in the main floor meeting room/lecture hall. A wonderful spread of local food and drink was served upstairs. Lots of work remains to complete the refurbishment but the facility was in good enough shape to host a public event. The official opening is in January. A new Meade 16-inch telescope on a Software Bisque MX2 mount is on its way for installation later this year, equipped with the latest robotic control and digital cameras for public viewing. A hydrogen-alpha solar telescope will also be part of the arsenal of equipment. This night, members set up a portable Celestron 8-inch telescope outside for viewing the Moon and Jupiter. In contrast to viewing at home at this time of year, observing from 13° North latitude was in shorts and shirt-sleeves. It was a terrific evening and I’m pleased to have been part of the relaunching of the Observatory and astronomy activities on the island. Many thanks go to my host on the island, Greg Merrick, for making the evening – and my stay this week – possible.